Of all the cities in the United States, perhaps none understands the importance of logistics better than Charleston. 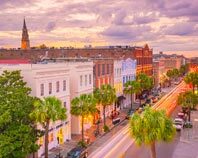 Arising as one of Colonial America's most important ports, Charleston has benefited from its easy access to the Atlantic and to nearby rivers. As a result, local businesses and consumers place a premium on deliveries, holding each expedited freight company to high standards. ExpeditedFreight.com is committed to exceeding those standards, providing secure and swift trucking services to every variety of Charleston company. 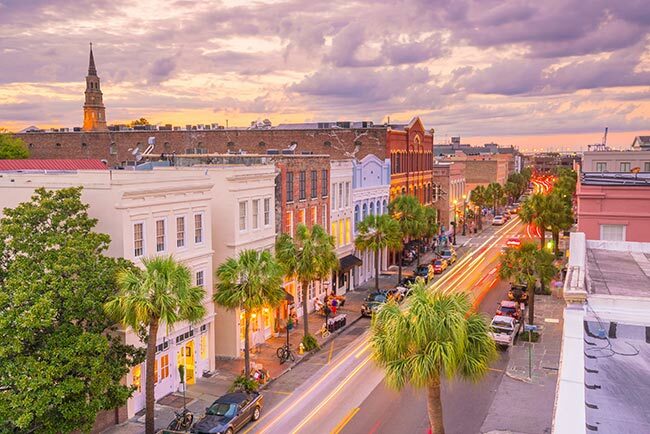 While the people of Charleston have a keen understanding of the art and importance of logistics, that doesn’t mean shipping is easy in the area. The sheer variety of businesses operating here, and the complex delivery challenges that those businesses face, makes it difficult for carriers in the area to keep their clients happy. Charleston’s dual automotive assembly plants, for example, need parts brought in on tight schedules, and cannot afford to let those supplies be even mildly damaged on the road. Likewise, the city’s thriving tourism and hospitality sector relies on regular deliveries of ingredients, sheets, and countless other supplies to keep visitors well-fed and fully rested. Carriers for all these companies must share the road, increasing the odds of traffic congestion and accidents. ExpeditedFreight.com steers clear of both to bring Charleston businesses all the supplies they need. Rapid Deliveries - Our expedited freight team has the skills to bring in all of your supplies and deliver all your finished products on any schedule you set. To accomplish this, we chart out each route before the delivery, steering our trucks clear of obstacles, severe weather, and congested traffic. We supplement this planning by investing in sophisticated tracking devices, which we use to monitor your trucks throughout their journeys. Whenever we detect that a truck is likely to be delayed, we update the route accordingly and keep your order on track. Safe Shipments - The ExpeditedFreight.com team takes every precaution necessary to prevent damage to your goods. Because we dedicate a vehicle to your order alone, we have the freedom to load any storage devices that are necessary for protection. We also assign two drivers to each truck and require those drivers to share the workload equitably, so that both are sufficiently rested to do their jobs safely. In this manner, we minimize the chances that any harm will befall your goods through turbulence or accidents. Continental Connections - ExpeditedFreight.com is able to further enhance both speed and safety by taking advantage of our vast coverage network. With vehicles and personnel in each major US and Canadian city, we are certain to have trucks near your starting point. Thus wherever you’re shipping from, we can quickly dispatch a truck from that area to Charleston. We will also have other vehicles nearby to take over on the off-chance that the truck carrying your order breaks down or crashes. For more information on express freight in Charleston, contact ExpeditedFreight.com at (803) 403-9055.